Most of the weather action is hinged on a big stormy LOW tracking NE up the western margin of the UK. 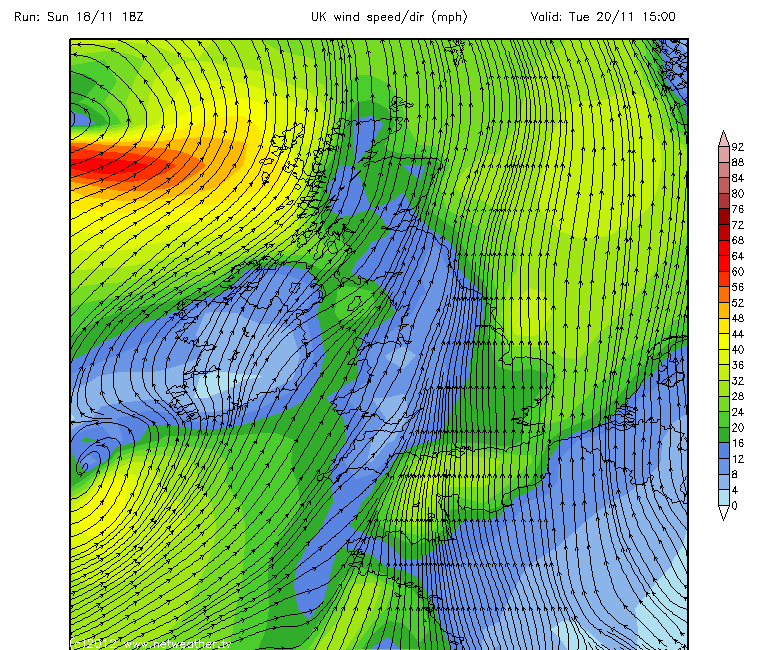 Here in the east we escape the worst until Tuesday when rain and wind arrives (30mph+for Reigate) from the South: so relatively mild at first but stormy. Glance at the medium range temps below: Temperatures are due to be falling away from the end of this week and late November / early December is looking colder as air from a developing Greenland high pressure is introduced. Not a huge winter freeze but certainly cooler with northerly air flows and maybe some snow for us here in the south east as this cold air meets moist air from Europe.